The removal of a tree from the University of Alberta campus is garnering more interest than usual, as it was planted by the prominent Métis figure who eventually gave the area its name. 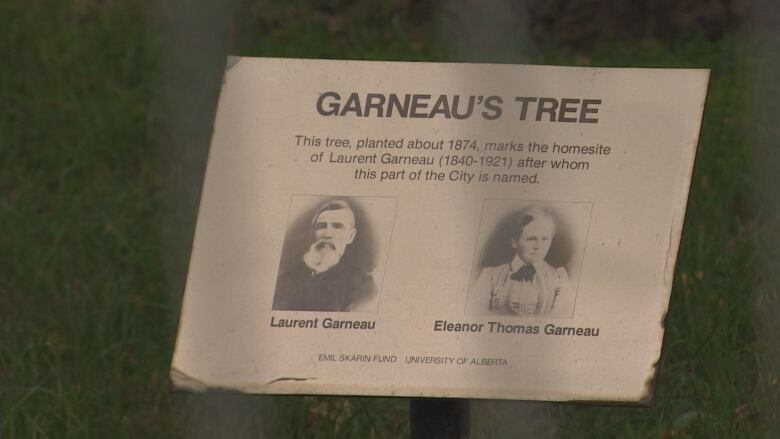 Laurent and Eleanor Garneau planted the tree behind their home after moving to Edmonton in 1874. 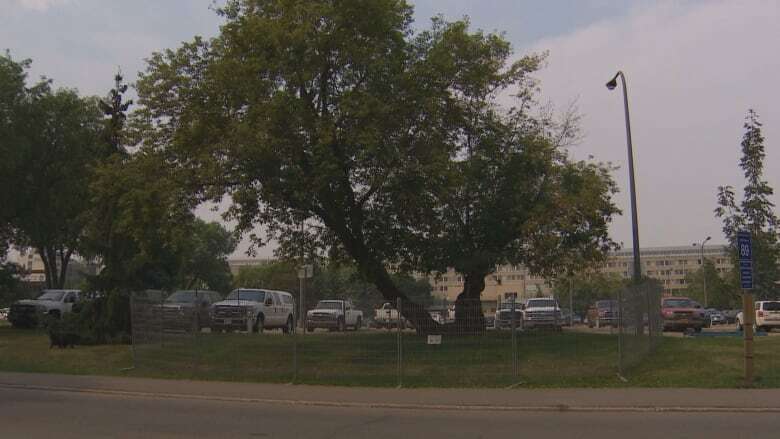 After more than 140 years, the Manitoba maple known as Garneau's Tree will be removed for safety reasons, according to the university. The tree currently stands protected by a chain link fence near 90th Avenue and 111th Street. What happens to the tree after its removal is being discussed by Métis groups, members of the U of A's faculty of Native studies and other university stakeholders. "The fact that it's that tree is what makes it so symbolically important," said Chris Andersen, dean of the faculty of Native studies. Laurent Garneau served as one of Louis Riel's soldiers in the Red River Resistance of 1869. He was known for his political involvement in the Alberta Métis community before he died in 1921. Below the tree sits a plaque with pictures of Laurent and Eleanor that reads: This tree, planted about 1874, marks the homesite of Laurent Garneau (1840-1921) after whom this part of the city is named. "Obviously it means a lot to the Métis community, both because of who Laurent Garneau was and also because the tree is still standing 140 years later," said Andersen. "It means a bunch of different things to a bunch of different groups and there a lot of people who are very emotionally attached to the tree." Nathalie Kermoal, director of the university's Rupertsland Centre for Métis Research, is disappointed the tree's lifecycle has come to an end. "It's very sad news because of that history. If the tree could speak, I'm sure the tree would tell us a lot of stories," Kermoal said. It's still unclear exactly when the tree will be removed. Some ideas are being discussed among the community about how the tree could be used as a lasting legacy to the Garneaus. "We don't even know if any part of the tree can be saved," said Andersen. "That will come out of the discussion with the arborist."